Everyone loves talking parrot stories. We never had a talking parrot, but we had something better. He was a Senegal Green to whom we never gave a name. With his specialty in noises, he drove us crazy while sitting in a cage on our front porch next to the front door of our place in Ouagadougou. The front door included auto-closing screen doors which made a distinctive slap-clack when someone went through them. That parrot would randomly make exactly that sound. Thinking that someone had walked in unannounced, we would rush to the front door in concern, only to find no one there but the parrot. The yard was walled as is typical in Ouagadougou. Someone needed to open the gate to let a car in. We would often honk if we knew someone was home to come open the gate. You guessed it; that parrot would make the sound of our car driving up and the exact sound of our horn honking. We would make a frustratingly useless run to the gate. We had two dogs. When we feed them at night, one would eat quickly and then try to eat the food of the other. Occasionally, this would result in a dogfight. Dayle told me that the parrot could imitate that. I thought that was exaggerated. Then after we took the dog food out one evening, a hear a fight starting – snapping, snarling, growling, the whole deal. So I went out to find the dogs eating calmly, and the parrot putting on a great performance. A talking parrot would have been amusing. 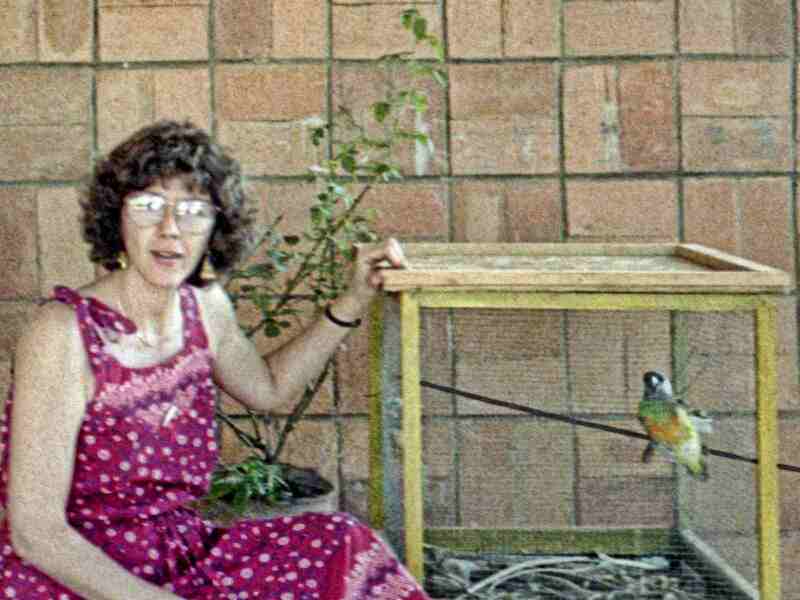 What this parrot did was annoying, although it did become amusing five years later. This entry was posted in Animals, Humor and tagged immitate noises, immitating noises, parrot, senegal green. Bookmark the permalink. I love that story. It reminds me of the parrot we had when I was still at my parents’ place. It drove us all crazy by its imitation ability. We called it “boloky (parrot) noty (naughty)” (you read “o” as “u”).